In 2015, the inimitable Derek Philpott and Wilf Turnbull challenged stars from the 70’s and 80’s about the lyrical ambiguities and inaccuracies in their song lyrics; would Living In A Box want to live in a cardboard box and just how could The Jacksons blame a failed romance on the boogie? The series of letters became the legendary Dear Mr. Kershaw – A Pensioner Writes which was entirely crowd-funded by Derek and his video companion Wilf Turnbull’s incredible fan base. 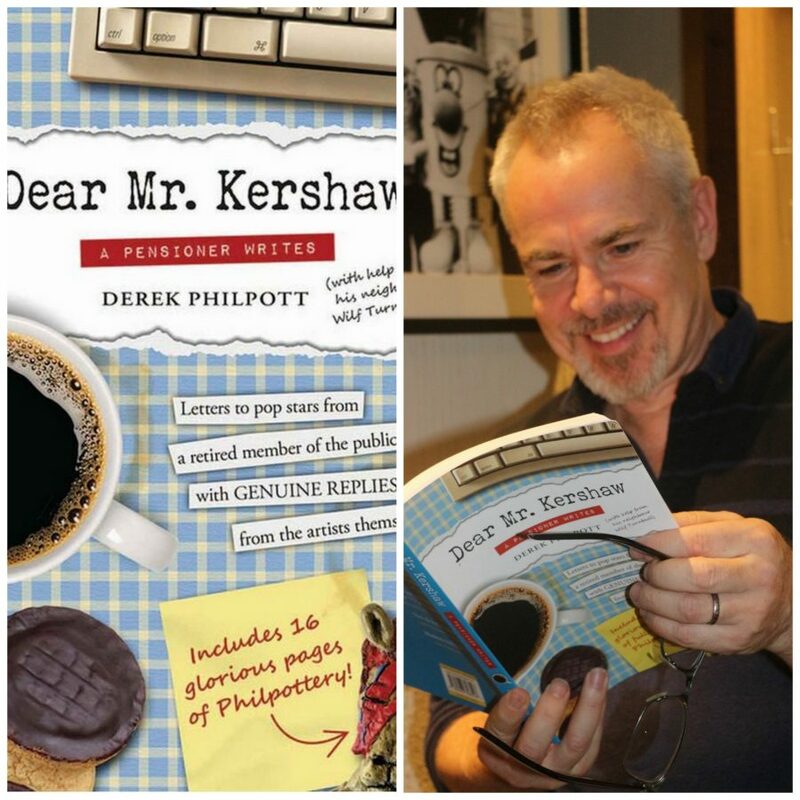 So much was the demand for the book that saw artists such as Level 42, Del Amitri, Howard Jones, Kim Wilde and of course, Nik Kershaw face the unwavering scrutiny of Derek, that a reprint of the book ensued and saw a Kindle release due to popular demand. Hot on the heels of Dear Mr Kershaw – A Pensioner Writes follows Dear Mr. Pop Star which sees Derek and his son, Dave Philpott don theirs pen and as Team Philpott, challenge even MORE lyrics that really fuddle the brain when picked apart! They also often deliberately get the wrong end of the stick for comedy purposes. Dear Mr. Pop Star will feature nearly 100 new letters and responses from yet more famous and legendary names that span the WHOLE rock and pop spectrum! Some of the epic names on the list include Tears for Fears, The Eurythmics, The HouseMartins and many many more….and of course, Nik himself who tells Derek and Dave just what he thinks of Team Philpott’s take on his legendary track “The Riddle”. To get this fantastic project in print and read Nik’s reply in full, Team Philpott’s incredible fan base and beyond are pledging in their droves to get the book published by Unbound – the crowdfunding publisher that gives people the tools, support and freedom to bring their ideas to life and in print for everyone to enjoy! To get your hands on a copy of this book, pre-order and pledge today.